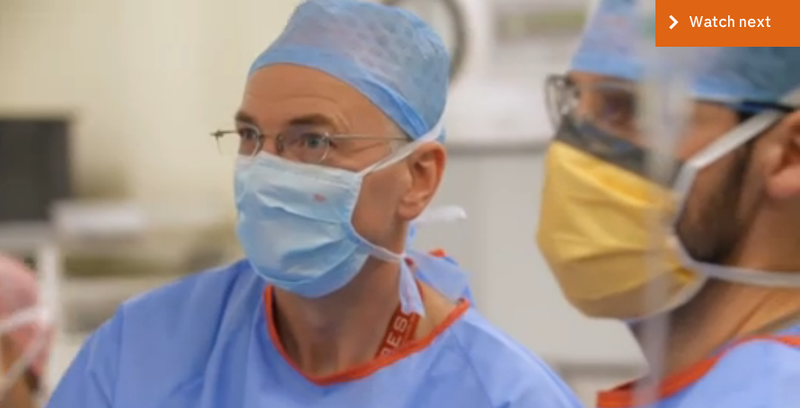 Last week, Consultant Orthopaedic Surgeon, Mr Duncan Tennent appeared on an episode of Food Unwrapped on Channel 4. Mr Tennent was approached by Channel 4 due to the use of pig skin in medicine and was identified because he has taught the technique nationally and internationally and is recognised as one of the most experienced surgeons in this procedure in the UK. The patient in this procedure had serious shoulder trouble caused by a torn rotator cuff. Previous operations had been unsuccessful in improving the patient’s condition. Mr Tennent performed a Superior Capsule Reconstruction on the patient, a relatively new procedure which Mr Tennent was the very first to perform in England 3 years ago. It involves using arthroscopy (keyhole surgery) to replace the damaged tendon with a graft made of pig skin. Over time, the patient’s own cells will grow into the scaffold, eventually seamlessly replacing the pig skin graft with his own tissues. Rotator cuff tears are common and many can be successfully treated surgically. Some are too big to be repaired. In the “younger” patient (under 70) this can be a problem as the only alternative is shoulder replacement. The very professional crew observed the entire operation and presented it very fairly. Superior Capsule Reconstruction may not be suitable for every patient and requires a careful consultation but for the younger individual it offers a solution where none was available before. Find out more about Orthopaedic services offered at Parkside Hospital, or request an appointment today.